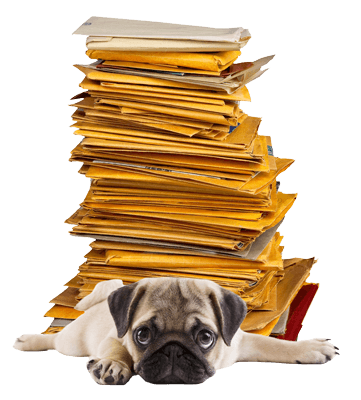 Three Dog Logistics is a leading problem solver in the mail and parcel industry. We help clients overcome logistical hurdles and reduce postage expenses through innovative thinking, resources and technology. Take the bite out of postage and freight through the great systems and top minds at Three Dog Logistics. Three Dog Logistics provides a full suite of mail logistics and parcel solutions with one common goal: to help your business save money on postage, shipping and related services. From commingling to tracking, drop shipping to international mailing, kitting and assembly to product sample fulfillment, Three Dog has been making businesses more efficient and cost-effective for more than a decade. Now let’s talk about how we can help you. Unique sizes, complex inserts and customized packaging require a personal touch. In addition to our 50,000 sqft of production and warehouse space, our facilities boast: over 1500 rack positions, a scalable workforce, QC for all processes and onsite Postal verification. Does your campaign need a lift? Get your message in-home at the lowest possible cost and higher open rates. If you can print it we can ship it. Streamline Your Process; Optimize Your Postage Savings. We’re a “Must-Know” for Direct Marketers and Consumer Products Companies—No bones about it. Help your clients all the way from design to delivery and look like a star by offering our scale and expertise. Amp up your service offerings and boost your revenue by taking advantage of our complete services for additional savings. You are guaranteed visibility from dock to delivery. When you need your mailing there On a specific date, Before a specific date, Between two dates or After a specific date, OBBAtrack and OBBAship deliver – literally. 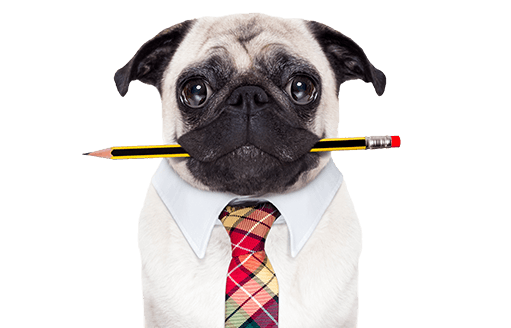 By choosing Three Dog Freight, you’ll get more control over your shipping, you’ll enjoy better rates, and you’ll have the peace of mind knowing that you can electronically track your shipments and status along the way. Make smarter, faster transportation decisions with Three Dog Freight. Our Retriever product has a open rate of 100%, resulting in 2x the donations! Who can resist opening a small parcel? Is it something I ordered? Is it a gift? Did I win something? You’ll have to open it to find out. Three Dog Sorting is the largest privately held sorting facility on the East Coast. Using our state-of-the-art technology and advanced mail sorting equipment, we commingle your standard mail other mailings and distribute it throughout the postal network, allowing you to take advantage of unbeatable rates. There is a more economical shipping method for your flats, small parcels, and bound printed matter. 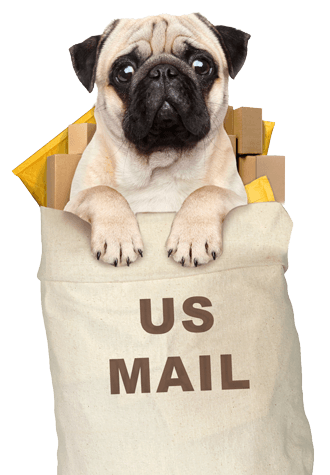 Whether you’re sending flats, parcels, premiums and product samples, Three Dog Parcel has a program for you! We can take an even bigger bite out of your postage costs! Let our experts find a postal optimization strategy that will work for you.